This week Yamashiro's own Executive Chef Brock was interviewed on the SoCal Restaurant Show to talk about the restaurant and some of his favorite dishes. The topics covered include discussion of Chef Brock's signature dishes such as the Wagyu beef steak, the ceviche and the Hawaiian poke based on a native Hawaiian's family recipe. Later Chef Brock talks about the Yamashiro lounge and the many classic cocktails that are served. 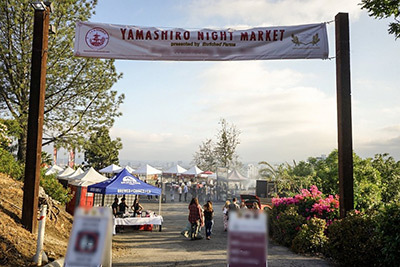 Drinks discussed include Yamashiro's take on the Manhattan, the 100-Year Anniversary Mai Tai, and our standout version of the classic Moscow Mule. Click on the player below to listen to the whole interview. Thanks again to the SoCal Restaurant Show for having Chef Brock on the show! The show can be heard every Saturday on AM 830 or on their podcast.